Two of the largest political parties of Egypt, which have already announced that they accept the fact of the Armenian Genocide, will raise the question of acknowledging and condemning the Armenian Genocide in the parliament after the new elections in Egypt. 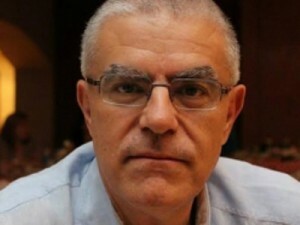 Egypt’s Armenian National Committee member Armen Mazloumyan told the aforementioned to Armenian News – NEWS.am during the “I Remember and Demand” Expert Forum held in the framework of the events commemorating the 100th anniversary of the Armenian Genocide. “Through 2 large parties, Armenian National Committee will try to introduce the issue of the Armenian Genocide acknowledgement in the new parliament. The Committee tried to reach the acknowledgement of the Armenian Genocide by Egypt, but perhaps the time was not yet mature for that. But I think, Egypt has almost acknowledged the Armenian Genocide, since it hosted many Armenian refugees in 1915,” Mazloumyan said. He also stressed the importance of informing the Egyptians about the Armenian Genocide, since the Turks and Azeris disseminate disinformation on the Armenian Genocide. According to Mazloumyan, one of the most important issues in Egypt is the preservation of the Armenian community, Armenian school and cultural centers.